At our "Wilts End" in Cedar Park, TX. and are looking for a tall shrub/tree that will hide a 6-ft tall concrete wall and muffle the noise from a busy street. The wall forms a very wide-angled V shape. Along the east end of the wall, we have a row of red-tipped photinia which was planted about 15 years ago. They are now almost 20 feet tall and do a very good job of screening and quieting the traffic. However, there is nothing along the west part of the wall. A year ago, a nursery recommended planting a row of four Wax Myrtles, claiming they would grow anywhere and would fill in and cover the wall quickly. We purchased them as well as a Crepe Myrtle to plant at the V in the wall for interest. We thought we had solved our problem. Everything looked lovely, until three of the four wax myrtles turned brown and died within five months. An arborist tested a branch and told us that the culprit was "Fusarium Wilt" which he said is a soil-borne disease that our soil has. However, the fourth Wax Myrtle is alive and well, and it was between two of the diseased trees. We contend that it was their plants that contaminated our soil. Either way, now we have one Wax Myrtle in the center of the west end of the wall, and we don't know what to do with it. Should we try to move it to another location in the yard in the event our soil is contaminated? If so, what other plant would serve our purpose? Should we cross our fingers and plant new wax myrtles to replace the dead ones? What about a row of red-tipped photinia to match the other end of the wall? The arborist didn't recommend this, stating that one day we'd wake up to find the whole row of our older photinia dead. Instead, he recommends Oleander; however, I don't want to have to deal with having to cover them every time there's a freeze alert, especially after this winter's cold temperatures. Please help, Mr. Smarty Plants! Because you have a very long and complex question, we have broken it up into separate parts, more or less based on the plant involved in each section. Then we will try to come up with some shrubs or trees to fit the conditions you have named and native to Travis and Williamson Counties. Previous answer on red-tip photinias. If you think we are exaggerating, please see this previous answer that we just published about 10 minutes ago, to which we answered with the same link we have given you. "Soil Description: Slightly acidic, moist, deep sands, loams, clays." Another line from that webpage: "Conditions Comments: Requires constant moisture to get established, but both drought- and flood-tolerant once established." This plant requires a high amount of moisture, especially as mentioned above, in the early stages of its development. This member of the Smarty Plants Team grew wax myrtles, not very far southeast of here in Washington County; they were trouble free and grew well. The soil there is more acidic than it is in Travis County, which is alkaline, and those plants were watered regularly, when the rain was not sufficient. Also, we need to ask when these plants were put in the ground. In hot, arid conditions like we have in this area, we recommend that woody plants be planted only in cool weather - December and January. If they were planted in hot weather, they probably suffered from transplant shock, one of the worst killers of woody plants. Because we didn't want to leave any possibility unconsidered, we looked at this website Fusarium Wilt from the University of California Integrated Pest Management. We also checked out Fusarium Wilt from PlantsGalore.com. Neither the genus Morella nor the family Myricaceae was listed as susceptible to Fusarium Wilt. From Wikipedia: "The fungal pathogen Fusarium oxysporum affects a wide variety of hosts of any age. Tomato, tobacco, legumes, cucurbits, sweet potatoes and banana are a few of the most susceptible plants, but it will also infect other herbaceous plants . Fusarium oxysporum generally produces symptoms such as wilting, chlorosis, necrosis, premature leaf drop, browning of the vascular system, stunting, and damping-off. The most important of these is vascular wilt. Fusarium wilt starts out looking like vein clearing on the younger leaves and drooping of the older lower leaves, followed by stunting of the plant, yellowing of the lower leaves, defoliation, marginal necrosis and death of the plant. On older plants, symptoms are more distinct between the blossoming and fruit maturation stages." We realize we have given you a multitude of possible reasons for the problem, without coming to any concluion. Unless they were planted in Winter, we are suspecting transplant shock. Oleander - Two reasons why we do not recommend it (1) It is non-native to North America. (2) It's poisonous. From howstuffworks.com "The Five Most Poisonous Plants in the World" No. 1:Oleander. "The oleander, or Nerium oleander, is considered by many to be the most poisonous plant in the world. All parts of the beautiful oleander contain poison -- several types of poison. Two of the most potent are oleandrin and neriine, known for their powerful effect on the heart. An oleander's poison is so strong, in fact, that it can poison a person who simply eats the honey made by bees that have digested oleander nectar. The oleander is an attractive plant, and despite its deadly reputation is often planted for decorative purposes. Although native to the Far East and the Mediterranean areas, oleander has been introduced in the United States, where it grows easily. It's tolerant of poor quality soil and dry weather. The plant grows as a dense shrub, and is typically 6 to 18 feet (1.8 to 5.4 meters) tall at maturity. It has thick, dark green leaves, and the flowers, which grow in clusters, can be yellow, red, pink or white." Oh, yes, we nearly forgot the Crepe Myrtle. Lagerstroemia indica (crepe myrtle) is native to Japan and therefore not in our Native Plant Database. From Floridata, here is an article about that plant. Finally, what else to plant in that space? First, we would recommend you make absolutely sure if the problem is in the soil, for which the soil itself would need to be tested. We suggest you contact either the Texas A & M Agrilife Extension Center - Horticulture for Travis County or Williamson County. Now, we can suggest some native shrubs and/or small trees, evergreen and native to Central Texas where they are adapted to live with our soils, rainfall and temperatures. While you can choose a uniform row of the same plant, we find that boring. They wouldn't end up the same height. anyway. We like to recommend a mixed hedge, different sizes, foliage and bloom colors to look more natural. And, if one or more of those shrubs fail, for whatever reason, you still have other shrubs to distract the eye from that wall behind them. It would be better if you waited until cooler weather to plant new woody plants; if you can't wait, get them in SOON, plant them in early morning or late afternoon, when it is cool. For several weeks, several times a week, stick a hose down in each hole and let the water drip slowly until moisture comes to the surface. We recommend mixing the soil that comes out of the hole with a good quality compost to help with drainage issues. 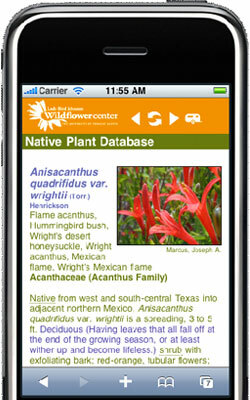 Follow each link to the plant webpage to get its height, sun requirements, bloom time, etc. If the Morella cerifera (Wax myrtle) that survived is still there, just leave it, it will be fine.